Philadelphia, PA | May 2, 2017 Offit Kurman is pleased to announce that the Legal Intelligencer has recognized Matthew D’Annunzio as a Top Lateral Hire for 2016 in its Annual Top Laterals/New Partners Special Section. Matt joined the firm as a Principal in September 2016. Paul Winterhalter and Jay Levin, who also joined the firm in Fall 2016 as Principals, also received Top Lateral Hire recognition for 2016. Seven other Offit Kurman lateral/new partners were identified in the Special Section, reflecting the firm’s continued expansion in Philadelphia. The Special Section contained an article authored by Tim Lynch, a member of the firm’s Management Committee, discussing the methodology of expansion through lateral hiring. Matt D’Annunzio represents business entities and entrepreneurs in complex commercial litigation matters and counsels them as general counsel in all aspects of their operations. He further serves as national coordinating counsel for national and regional enterprises with respect to litigation, tort, indemnification and insurance issues. 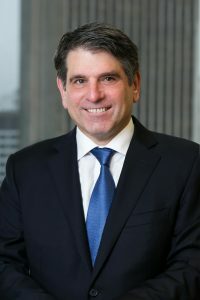 He has extensive experience advising clients and litigating and resolving disputes concerning contract, finance, unfair competition, business fraud, indemnification and insurance, employment and trade secrets in various industries, including bioenergy, energy, real estate, information technology, banking, healthcare and manufacturing. He also handles matters through jury trial involving catastrophic injury and loss of life including product liability and medical malpractice.